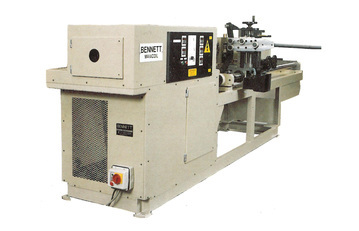 Bennett Maxicoils The first Bennett Maxicoil machine was manufactured in 1974 and since then hundreds of machines have been supplied to springmakers worldwide. 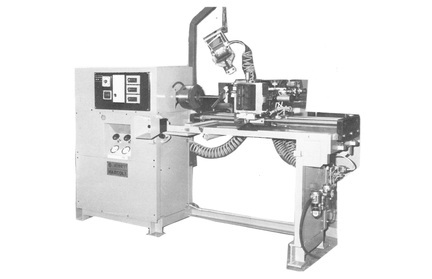 These machines are used to make compression, tension and torsion springs for a wide range of applications including aerospace, medical, nuclear, defence, automotive etc. The servo driven machines are extremely simple to set up and greatly “De-skill” the spring making process. 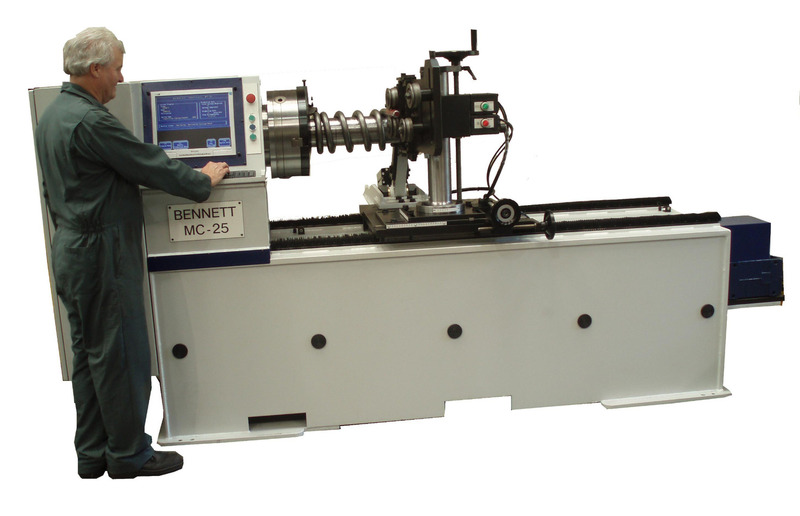 There are 6 models in the Bennett Maxicoil MC Machine range. Each model has a very wide wire range. Click here for details. 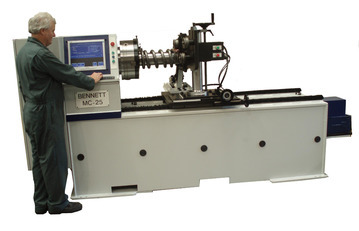 Click here to see some of the features of the Bennett Maxicoil machines. 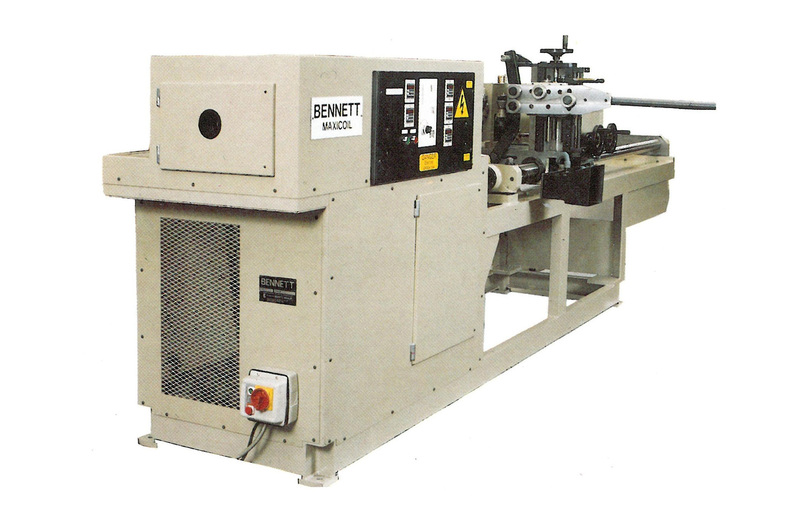 Click here to see some details of some of the optional items and accessories for the Bennett Maxicoil machines.